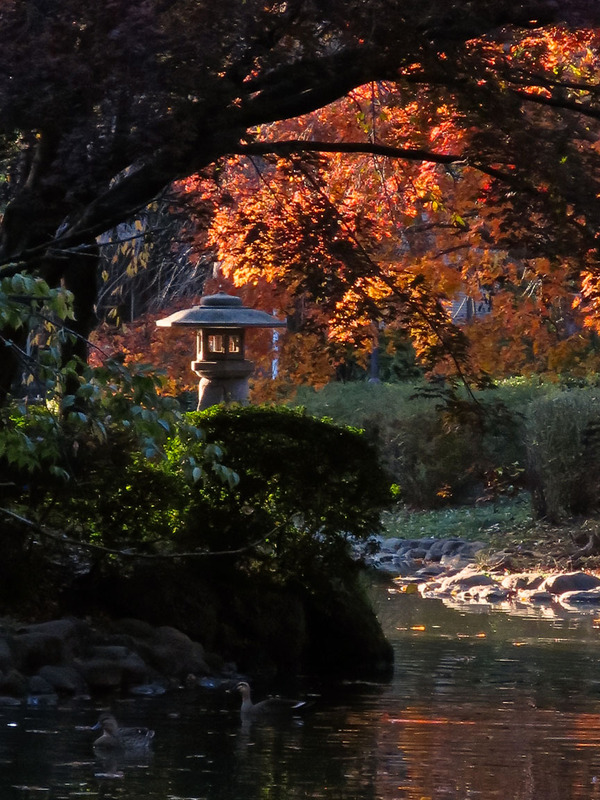 It’s hard to take a bad picture of this pond at Korakuen garden in any season. Forget those pesky cherry blossoms. Leaf season is the BEST! 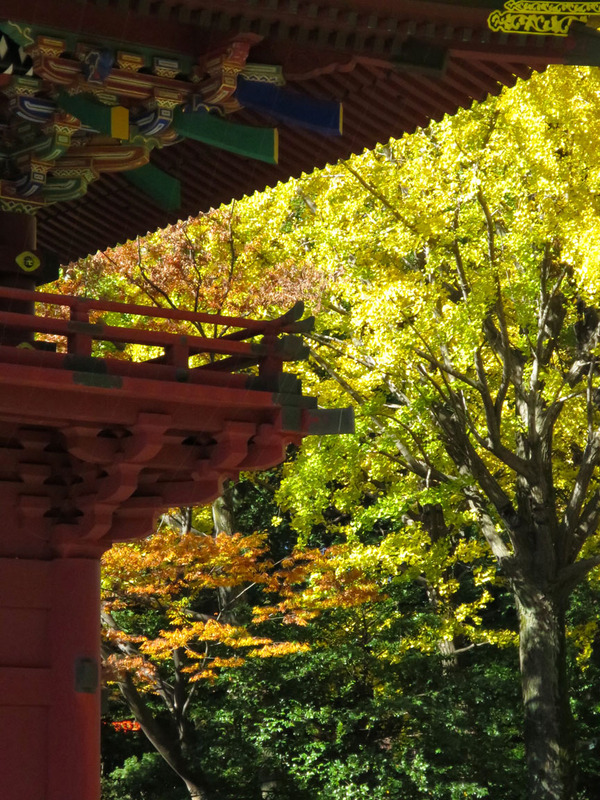 Fall is the only season in which the Nezu Shrine grand gate isn’t the most wildly colored thing around. Gotokuji temple leaves change in quiet splendor. 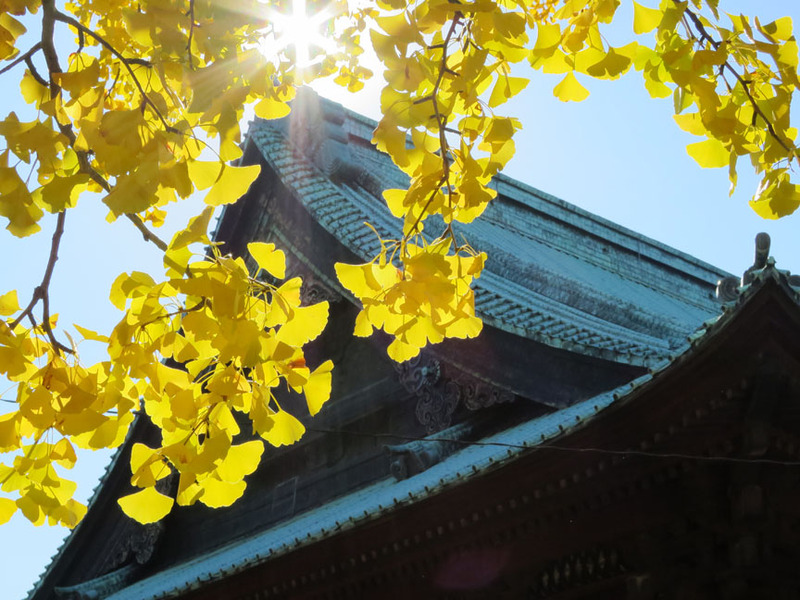 Blindingly gold ginkgo leaves frame the lofty eaves of Gokokuji temple in central Tokyo. Arisugawa Park does not disappoint. 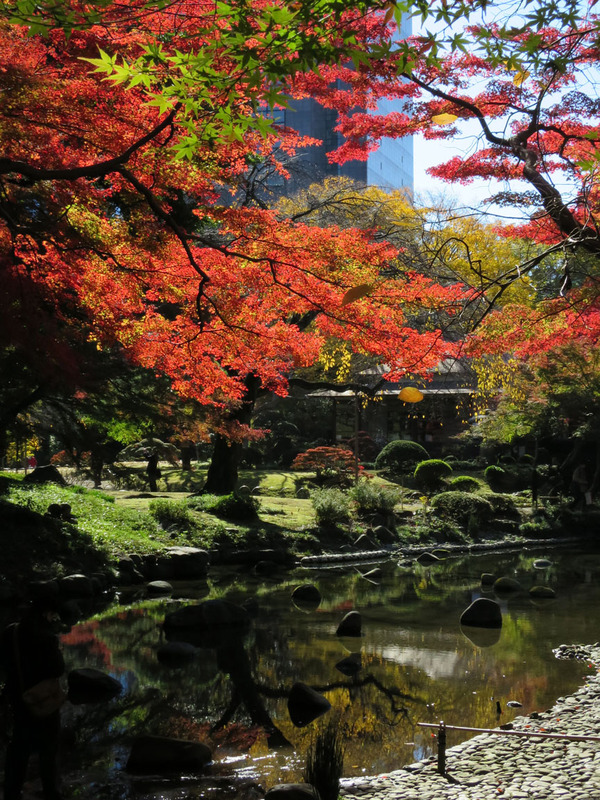 If you’d like to visit Arisugawa Park, Gokoku-ji temple, Gotoku-ji temple (they’re different! 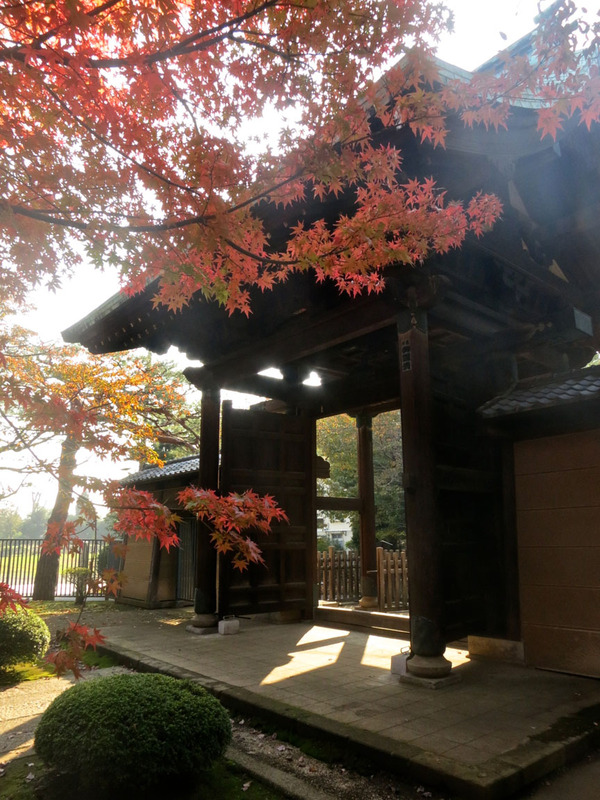 ), the Nezu Shrine, Koraku-en garden, or any of the other best places to see autumn leaves in Tokyo, directions & maps to all the shrines & temples and gardens are on my website, The Tokyo Guide I Wish I’d Had. Gorgeous pictures, Jonelle. You have motivated me to go get the pictures of the Higashiyama ginko trees I’ve been planning to take. Just got back from my ginko pilgrimage and they’re not ready yet. Will try again in a few days.